The other day while running with a friend, he told me to focus on my exhalation and the inhalation will just come. I have been practicing this and it strikes me as incredibly metaphoric and reminds me how much I love embodiment...if I can focus on the exhale in my physical body and feel the ease with which the inhale follows, I can do the same in my life. I realize how often I focus on inhaling in a deep breath and that takes a certain amount of effort whereas if I focus on exhaling and getting all of the air out of my body...the Universe doesn't like a void and will immediately and effortlessly fill it up. This mirrors my experiment with surrender. If I focus on making myself available and listening the Universe will send along incredible experiences I could have never thought up on my own that just fill my life in such an easy manner that I marvel constantly this dynamic. 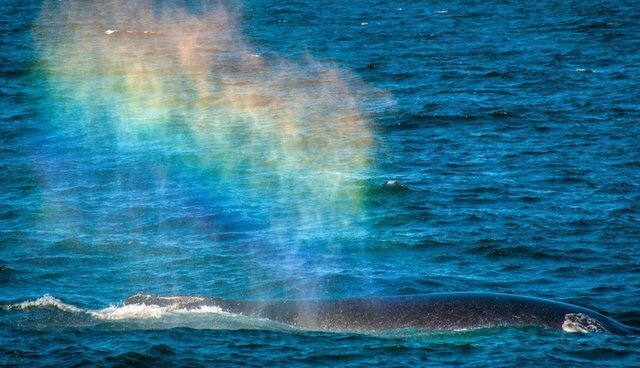 Sometimes whales exhale a rainbow...well we can do this also. By focusing on the exhale we are inviting in all that is rather than only inviting in what we believe we want on the inhale. About a week ago I was initiated in Reiki. Reiki invites one to dedicate themselves to the 5 principles “Just For Today”. In my intense ups and downs, I kept reminding myself of this… Today I realized that I was saying it without letting the full weight of what that means in. I was in a space of playing the victim: blaming society, culture, people around me for caging me and making me feel miserable. The irony of feeling dismal in a paradise of nature and beauty hit me yesterday… even so the mood lasted all day. Today as I was collecting leaves in the forest to make a compost, I woke up to the cold hard fact that I choose every day, perhaps every moment, what I dedicate my time to, who I am with and how I want to live. Conditioning is present and of course has an impact on my decisions. But being caged is a state of mind that can occur in any external setting, from the most appalling to the most marvelous life situations. So JUST FOR TODAY, I OWN the decisions I have made and make constantly. This is so empowering – when I take responsibility for the choices I make, I am participating consciously in molding my life. This still holds space for surrender in every moment, and in fact is part of accepting the life situations in which I find myself. Full acceptance of my present state, be it stagnation or transformation, is a reflection of my will to embody this experience with full attention and intensity. And this becomes a beautifully continuous dance – I define my boundaries by making certain choices and I surrender into the results. Then I observe my present state and situation and make a decision in the next moment. This is the beauty about why so many wise beings expound the importance of living in the present. So how do I cut the ties that bind me to what I have been blaming for my suffering and see more clearly what decisions will guide me towards happiness? One thing I adore about going on retreats is doing “check ins”, which are the time slots set aside for people to reflect on their experience to the whole group. When not on retreat, I can “check in” with myself, recognizing that the group support is miraculous but unnecessary…I have the capacity to fulfill any and all needs I may have from within. Going inward I discover the truth behind Rumi’s incredible adage: “You are not just a drop in the ocean, you are the entire ocean in one drop”. If, as science has discovered, I am connected to all that is, then I have access to all of the advice, love, support and knowledge I could ever desire. Thus, I also have access to the infinity of creative possibilities that exist beyond the norms to which I am constantly exposed. There are many ways to encounter this wisdom…I have found that the most direct route is through the body. If you allow yourself the time and focus to check in with your whole & true self, you will discover your capacity to recognize the voice whispering the “right” thing to do, which is based on external labels and value systems. Then check in with what feels right in your gut, your bones, your heart and surges from your intimate connection with all that is. Cuddle piles, hair strokes and a good old fashioned chat over a cuppa tea is always a beautiful part of the human experience. However, as I appreciate more and more that I do not NEED others to support me or resolve my problems, I become ever more integrated with the wholeness of who I am. And living from that wholeness allows me to venture beyond my comfort zone and nourish the seeds of passion, joy and pleasure. ​How much of my feeling of contentment comes from getting what I want and having my needs fulfilled and how much of it comes from surrendering and accepting what is offered to me? As I have been exploring the question – what happens when 2 people have different needs that are mutually exclusive? – sparks of this concept keep revealing themselves. I have been using my own relationships to better understand how disparate needs can be reconciled and have recognized 3 noteworthy elements involved in this dynamic between 2 people. First, don’t take it personally. If you have ever read Don Miguel Ruiz, The Four Agreements, you will be familiar with this concept of simply accepting that everyone is living in their own bubble and what anyone else says, does, reacts to, responds, is not a personal attack against you even if they are telling you off or spreading rumors about you. Truly, it is more a reflection of what is going on inside of that person than of you. Second, communicate as honestly and as often as possible. This perhaps begins to sound redundant in relationship advice but any time I am upset with another person and get the courage enough to tell them honestly how I feel from my point of view without an energy of superiority propelling it, the relief inside me and the energy field shift between us is palpable. Additionally, this most often, facilitates the blossoming of compassion. I have discovered recently that the simple act of listening mindfully to the lens from which the other is acting opens up a whole new willingness to loosen the attachment to my own demands. Third, negotiate a strategy that takes all needs into consideration. Yes, this may mean compromising my own needs to those of the other person…but that is where the next piece of surrender comes in. In recent explorations I have been practicing stating my boundaries and needs to others. This has been extremely powerful for me because previously if I didn’t like what another was doing my first knee-jerk reaction was to distance myself, often both physically (running away) and emotionally (closing off my heart center). This alternative taught me to vocalize what I don’t like and request what I would like. This opened up a whole new world of expression and self-knowledge (I have to know what I want before I can express it to others!). 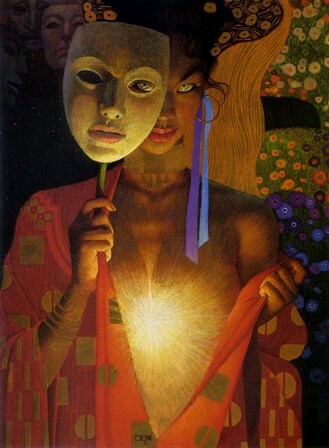 Then, the other day I was explaining this process to a friend and her reaction was ‘if someone is offering you something that is their nature of expression, by indicating what and how you would like to receive you are denying yourself the experience of their unique form of giving. Wow, ok, new lens! Once again this precarious equilibrium between requesting needs be met and surrendering to the experience in front of me…and I believe both are valid and required to get to know ourselves. It is possible and even beautiful to inhabit the in between…in the maybe. Philip Shepherd and Joseph Campbell speak of surrender or submission to wholeness that already exists in and around you. If I am constantly directing my life in the direction I want, it is like digging a channel in a straight line instead of allowing the natural curvature of the landscape to guide me. The Incas constructed using organic architecture, allowing the landscape to guide the form of their buildings and then enhancing it with their knowledge and skill. This is as opposed to how many western cultures construct…bulldozing everything until it is flat and then starting from 0 and shaping primarily in squared off design templates. This attempt to control everything impedes the essential harmony that is ceaselessly lying in wait beneath the surface. So being WHOLE, dwelling in the juuuuust right space of feeling eternally at home, is allowing the natural process of expansion and contraction to happen…becoming familiar with your peculiar set of needs, likes, passions, etc and then releasing them to whatever is, whatever develops. By creating a copious vision of life as an inclusive rather than exclusive experience you become present to what is and only there can you stop directing, dictating, plotting what to get and how to get it and simply be who you truly are. If you’re interested in cultivating an eternal feeling of Home, please join me for a 9 week group course that will meander through koshas, habits, societal conditioning, connection with nature & fellow human beings and body-mind-spirit awareness. This online course begins on July 3rd. For more information or to register please visit www.surrenderinmotion.com or write me Jodi@surrenderinmotion.com. About a month ago I communed with a beautiful green snake on a pathway. I stayed completely still as she checked out whether I was trustworthy enough to cross in front of. After several minutes she came towards me and then continued across the path on her way. The message I received which I now associate with both Tantra teachings as well as Taoism and my own practice of surrender was … Can you stay still enough to allow me to flow through you? On the other end of the spectrum, the other day I was reminded of an event in San Jose that I had heard about but not paid much attention to and decided only 3 days before the event that I really needed to be there. As I tried to organize my work schedule and plan the trip, everything felt like a lot of effort, like I was forcing it. I paused and asked myself – what is my core need here – and was reminded of The Passion Test. 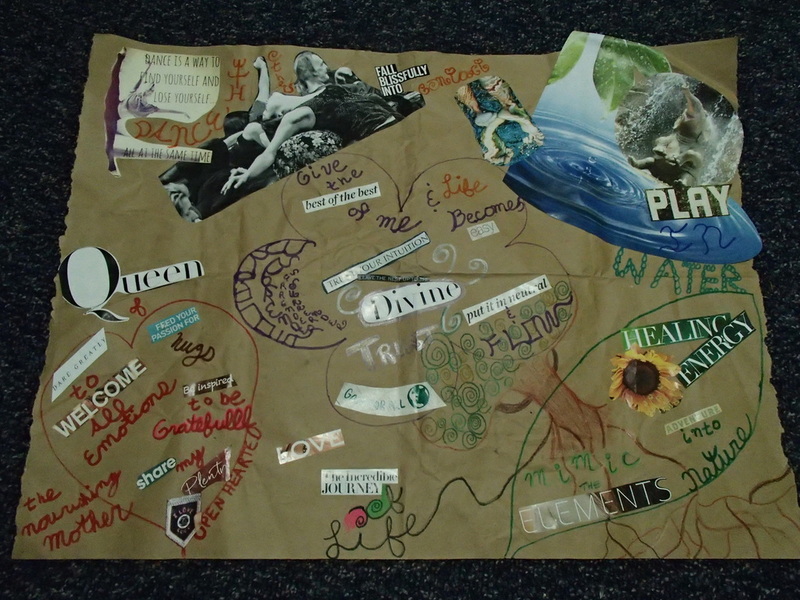 A friend facilitated this test for me about a year ago and I discovered that my 5 top passions are dancing with others, playing in water, being in nature, staying open-hearted and trusting. Since the event was dancing with others I considered if I should choose to pursue it further. But when I thought about trusting, a deep peace came over me and seemed to indicate that something more expansive, more feminine, more diffuse was guiding me and creative ideas flooded into my mind of how I could fulfill and actually had been fulfilling the need to learn new things and dance with others and I was flooded with gratitude. This question – WHAT IS MY CORE NEED – is essential to understanding our multidimensional labyrinth of needs and desires. It has helped me understand why people often say emit WHAT you want to the Universe but don’t worry about the HOW’S. Often our core need is buried by the ego creating detailed descriptions of how it has to be fulfilled. I believed that I needed to attend this workshop which would broaden my horizons in several areas that I am currently studying. I attached to the idea that this was going to be my only chance for a long time to participate in something like this…I was vibrating in lack. When I turned it around, I remembered that I have had many opportunities recently to fill exactly those needs and that I chose where I live knowing that it satisfies all 4 of my other passions but access to dancing contact would be more limited. So can I observe, have faith enough, be empty enough, for the Universal consciousness and creativity to flow through me? This comes down to trusting – trusting that the resources, opportunities, people, etc that I need to grow in the direction my true heart desires are always abundant. If I get triggered and feel that a need is being unmet the first thing to do is peel away the layers of disappointments, fear, anger, etc and look at the fundamental craving within. If I can stay present enough to ask this question, the subconscious patterning indicating a deficiency and layers that are covering over my core need are illuminated. When I think I need something from someone else, the simple ability to express the true need and have it listened to with mindfulness is practically enough. The Course in Miracles says “you think you have a lot of problems but you really only have one, your separation from God.” This internal research has led me posit that I think I have a lot of different needs but truly I only have one, to trust what is unfolding moment by moment without attaching to results, likes and dislikes, etc.